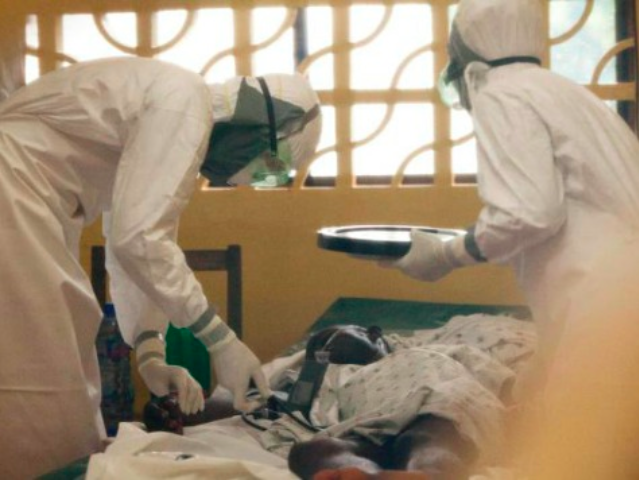 The administration will try to “hide their rear” during an upcoming hearing on the Ebola outbreak, Republican Rep. Joe Barton (R-TX) said in an interview with Breitbart News Wednesday. The House Energy and Commerce Subcommittee on Oversight and Investigations is scheduled to hold a hearing on the Ebola outbreak Thursday and a number of administration officials are set to testify, including Centers for Disease Control and Prevention Director Tom Frieden. He stressed that the Ebola outbreak needs to be treated as public health issue. Barton, whose district buttresses Dallas where the domestic diagnoses of Ebola have so far occurred, said the administration needs to put travel restrictions on the hot-zone Ebola countries in West Africa. And Barton’s committee peers are not the only ones. Wednesday afternoon House Transportation and Infrastructure Committee Chairman Bill Shuster (R-PA) and Senate Commerce, Science and Transportation Committee Ranking Member John Thune (R-SD) added their names to the growing list of lawmakers called for a temporary travel ban from West African countries dealing with Ebola. Barton, who will not be at the hearing due to a recent gallbladder operation, said he will be watching from Texas and might even call in with his own questions.